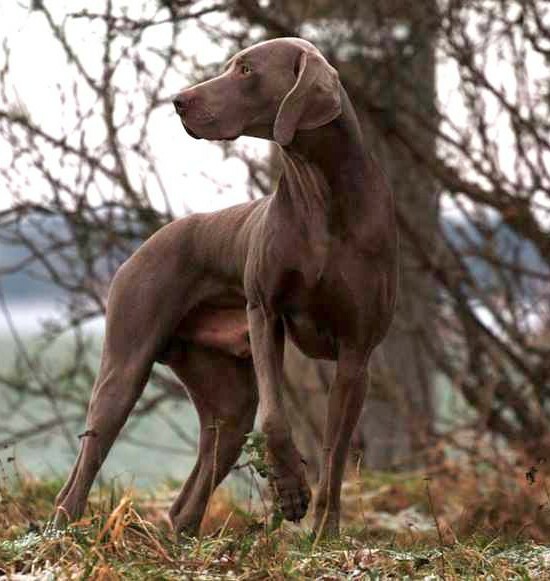 BERO vom Feuerbach is a German studdog in which pedigree one can find the best German bloodlines, for over hundred years being selected only for hunting. Bero is a big, strong and muscular dog with elegant lines and beautiful masculine head. He has a dry neck, straight back and thick bones. He is very well balanced, well-built and angulated. He is distinguished by his beautiful, dark, mousegrey coat, very rare in weimaraner population. Since littermates, his mom and some ancestors are mousgray too, we wonder if this trait appears also at his puppies. 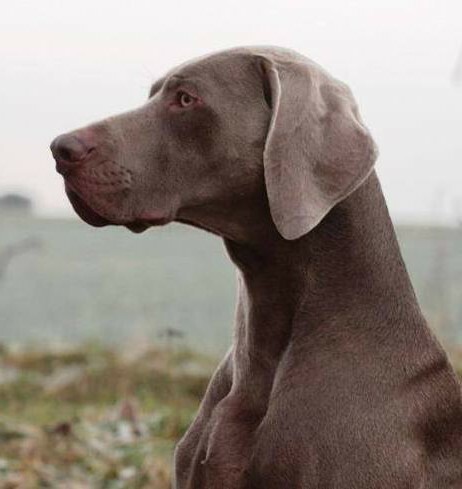 Bero is a dog with a great temperament and great passion for hunting. He is perfect for small game hunting, has excellent wind and nose, he works systematically and tenaciously, he has a strong point, his range and speed is in accordance with the breed style. He works great in water, persistently and passionately searches in the densest reeds. When working on the bloodtrack he follows calmly and systematically, he does not give up until he finds the game. He is sharp on predators and he works great on bild boars. He is spurlaut and sichtlaut (voicing on scent and voicing on sight). BERO has a strong protective instinct, he is alert and territorial, but does not show aggression. German mandatory psychological tests confirmed that Bero is stable, confident and bold male, neutrally behaving in relation to strangers, showing no fear or uncertainty. 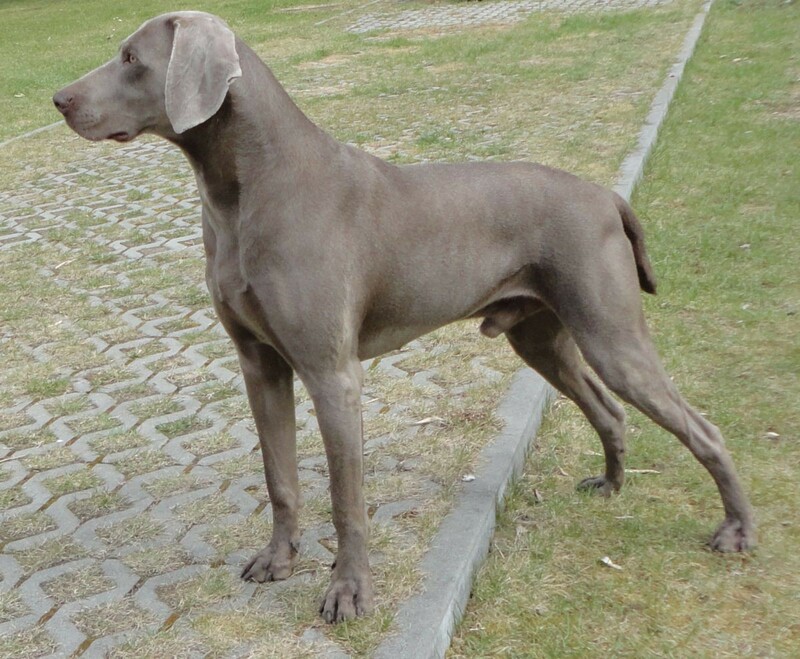 Udra comes from the world-famous weimaraner kennel – Imperium Star. 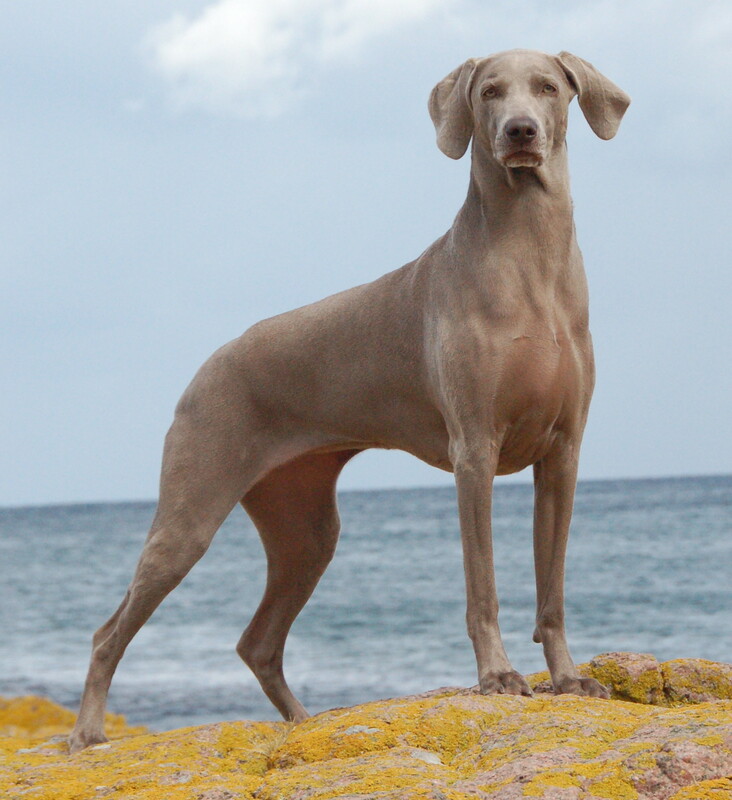 Her breeding line is based on the world’s most famous sires: Nani’s Indecent Exposure – father and grandparents and great-grandparents: Colsidex Nani Reprint Colsidex Standing Ovation, Nani’s Southern Cross, Divani Just a Dash, Ashlaren Caipiroska, Colsidex Grauhund Just Jeans and Divani Loads And Trouble. 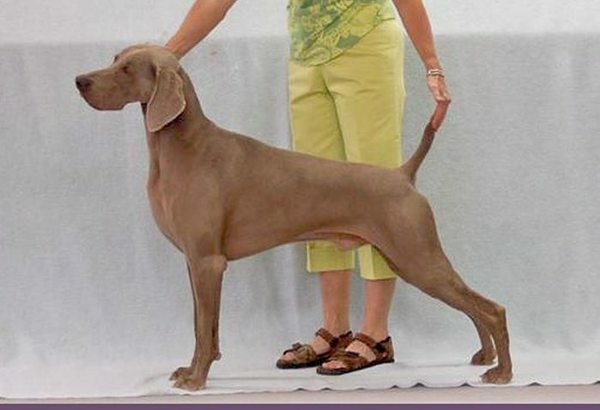 In her pedigree there are 31 champions (multi, grand and national), 17 BROMs ( Breed Registry of Merit), 8 HOFs (Hall of Fame) and 5 JHs (Junior Hunter – natural ability test for pointers). 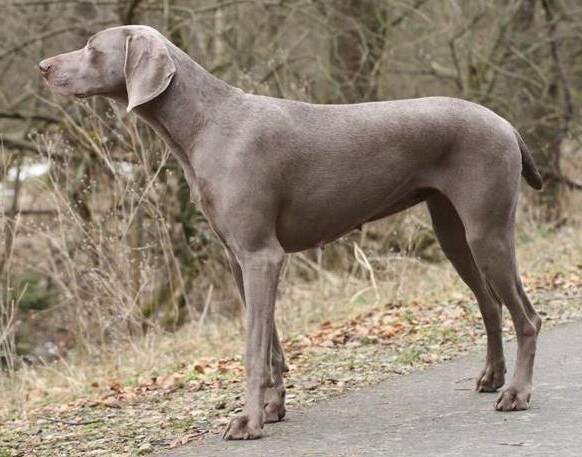 All dogs in her pedigree have made outstanding contributions to the development of the breed and forever etched in world history of weimaraners. Despite Udra comes from a showline she is a pretty good hunting dog. She searches the field fast and fairly wide, she has a natural, strong point and perfect nose. She is backing naturally. She is quite good before and after the shot. 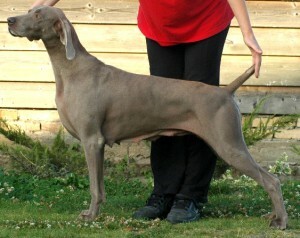 She follows the scent track with a beautiful lower wind in the breed style. She has never failed to find and retrieve a shot duck or pheasant. She has natural aptness to water (at the age of two months she spontaneously followed her aunt entering the lake and swam quietly). Since that time she enters and searches every water she meets, regardless the weather. She keeps calm while lying in ambush. 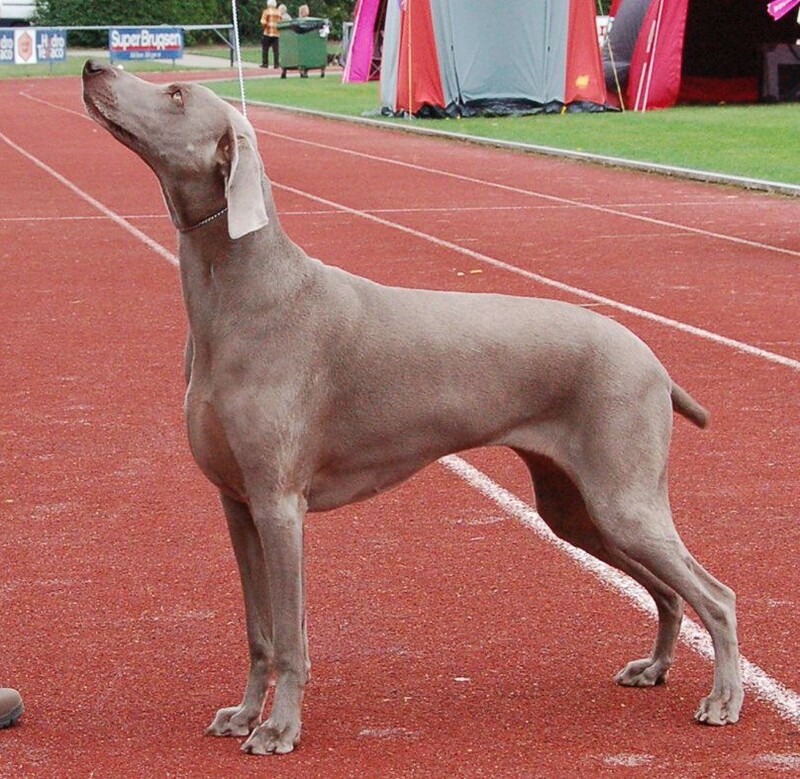 Udra is the undisturbing household member, easily adaptable to new situations, she is friendly towards people and other dogs, she also passed the psychic tests in the Weimaraner Klub eV.